This is a question we get A LOT! We wanted to clear the air and explain with some visuals! Before we begin, we want to touch on the term “Cotton lycra” or “CL”. Cotton lycra (also known as spandex, lycra is a brand name of spandex), is the CONTENT of the fabric. Jersey, interlock & french terry is the TYPE of knit. 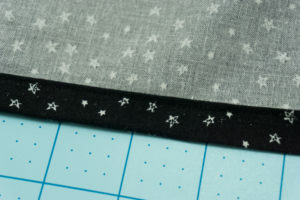 When purchasing fabric, it is so important to have all of these details. 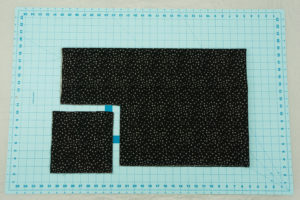 The fabrics shown here are all 92% cotton 8% spandex, but they are very different types. 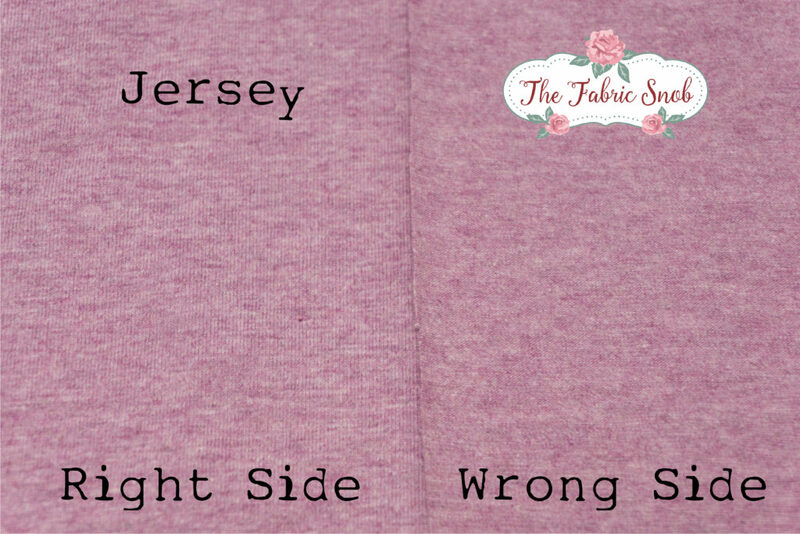 Jersey knit is typically what is used for t-shirts, even if it is 100% cotton. It naturally has the most stretch out of the 3. The addition of spandex makes it even stretchier and make it recover better. Jersey has the best drape of the three. It is also the most versatile, and can be used for virtually anything. It has a wrong side and a right side. 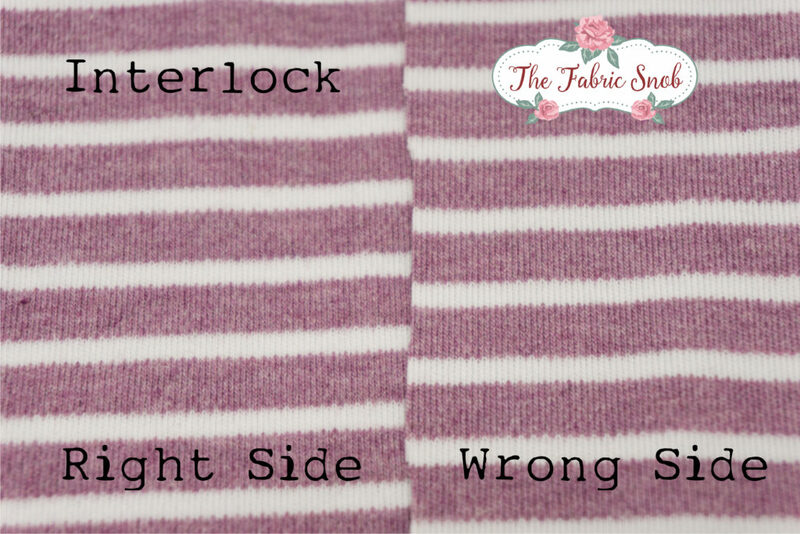 Interlock is often referred to as a double knit, as it doesn’t have right and wrong side. It is thicker, and naturally has only 2-way stretch. The addition of spandex does give it a bit more stretch, in this case giving it 4-way stretch. It is a very stable knit, making it great for beginners. 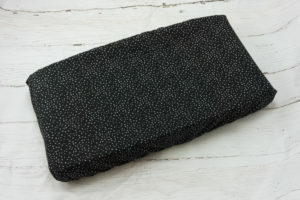 It can be used for tops, pants, dresses and children/baby wear. 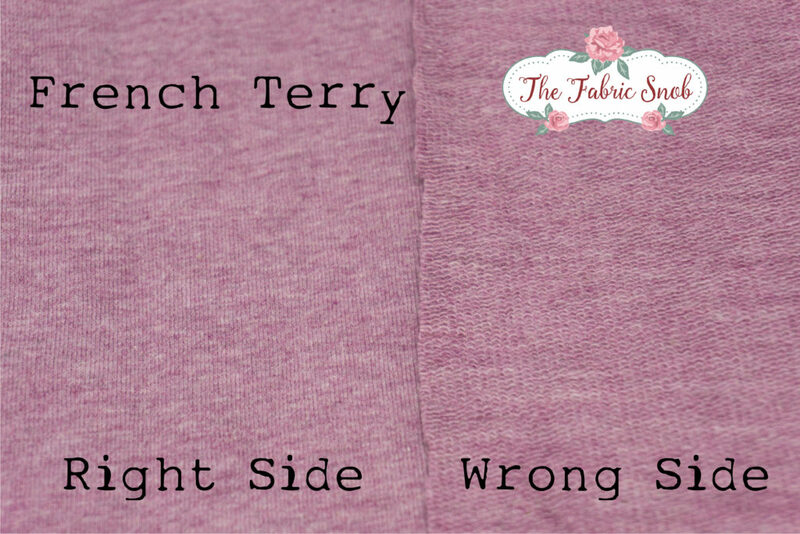 French Terry is easy to identify as it has a looped back. It naturally has 2-way stretch, and the addition of spandex gives it decent 4-way stretch. It is great for pants, joggers, sweaters, tops and beanies. Another fun and quick sew! Pair with the change pad cover for a matching set, perfect for gifting or designing your own nursery. It goes together much the same as the change pad cover, just a few measurement changes! 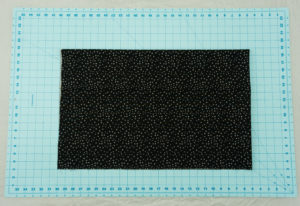 1 3/4 metre fabric – you can use anything this is 44/45″ wide- quilting cotton, flannel, knit, etc. 1. Cut Fabric into a 45″ x 69″ piece. If you have 1.75M of fabric, you shouldn’t need to do any trimming at all. 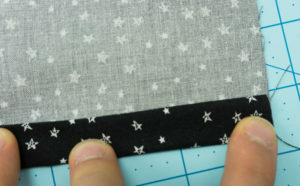 There is no need to trim off selvedges, they will be hidden in the hem. 2. Fold so all 4 raw corners of the piece are on the same edge, all on top of each other, by folding the piece in half, and then in half again. Cut an 9 inch square from all the corners simultaneously. You should have 4 separate 9 inch squares left. Make sure you are not cutting any corners that contain a fold of fabric. 3. Iron hem along each of the 4 long edges. 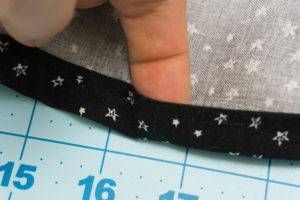 First 1/4 inch, then 1/2 inch to create the elastic pocket. 4. 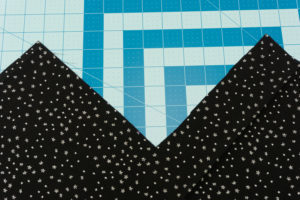 Sew each corner edge to edge to create the corners using a 1/4″ seam allowance. Be sure to backstich at the beginning and end. Ensure the ironed hem is unfolded before you sew, or else you will not be able to thread the elastic all the way around. There are 4 corners that will be sewn. 5. 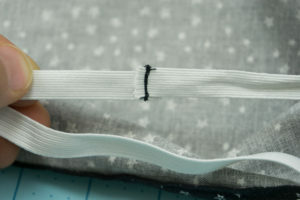 Sew hem, leaving a 1-2 inch gap for threading the elastic. 6. Use bodkin or safety pin to thread elastic. 7. 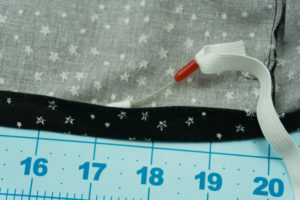 Sew elastic ends together and close the gap in the hem. 8. Congrats! You have created your very own change crib sheet in no time flat! If you need fabric for this project, make sure you check out The Fabric Snob! We have a large selection of quilting cotton, flannel perfect for this project! 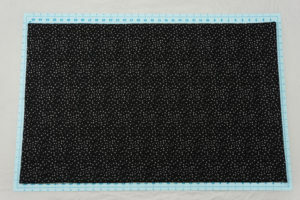 1 1/4 metre fabric – you can use quilting cotton, flannel, knit, minky, etc. 1. Cut Fabric into a 48″ x 32″ piece. 2. Fold so all 4 raw corners of the piece are on the same edge, all on top of each other, by folding the piece in half, and then in half again. Cut an 8 inch square from all the corners simultaneously. You should have 4 separate 8 inch squares left. 4. 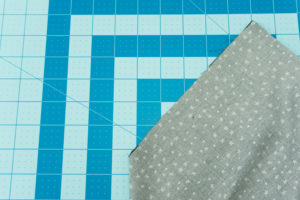 Sew each corner edge to edge to create the corners using a 1/4″ seam allowance. Be sure to backstich at the beginning and end. Ensure the ironed hem is unfolded before you sew, or else you will not be able to thread the elastic all the way around. 8. Congrats! 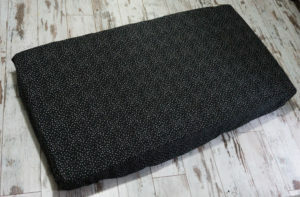 You have created your very own change pad cover in no time flat! If you need fabric for this project, make sure you check out The Fabric Snob! 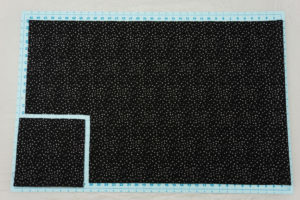 We have a large selection of quilting cotton, flannel and minky perfect for this project! We know! This is much overdue! 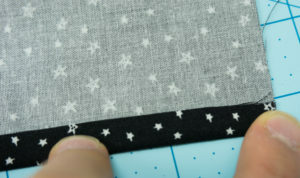 Soon we will be sharing with you tutorials, free projects, new fabric collections and so much more!